Our Luxury Groom is like a spa experience for your dog. We use only the very best quality shampoo’s to ensure your dogs coat is thoroughly clean, using the shampoo that best suits your dog’s coat and skin. Next is a nourishing and enriching conditioning lotion which is massaged into the coat & skin to add a healthy shine and softness to your dogs coat – while the conditioner works it’s magic, you dog will receive blueberry facial treatment which helps to deep clean those furry whiskers. 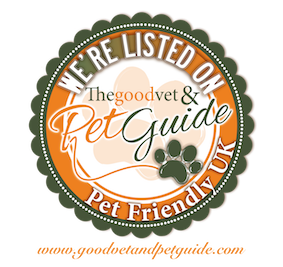 Gentle towel drying is followed by finishing with a specialist dryer ensuring your dog is thoroughly dry. Your dog will be groomed to your specification by one of our stylists. The package includes ear clean, paw wax & super shine serum for an extra shiny coat. The final flourish is a hint of pooch perfume to make your dog smell divine. Because it’s a special occasion, we’ll go the extra mile and give your dog a bespoke handmade collar accessory with our complements. Luxury treatments can be added to any full groom or bath & brush service. A Full Monty Groom is everything you might expect. One of our high quality shampoo’s will be chosen to suit your dogs coat and skin (hypo-allergenic and flea shampoo’s are available). A cut and blow-dry will follow and of course your dog will be styled as you wish. Paw care and ear cleaning come as standard with this package, along with a hint of pooch perfume – perfection. The frequency of re-style appointments can be suggested, depending on your dogs lifestyle and coat type. Some dogs may require an interim appointment in between their regularly scheduled appointments. Long haired dogs which keep longer face coat, may need a fringe trim to ensure their vision is not impaired. Longer haired or older dogs may also need additional attention to “hygiene areas” between grooming. Some dogs also require more frequent eat cleaning or plucking. Shampoo, blow dry and tidy trim are included. Dog hair, especially in long haired breeds can become tangled through day to day activities such as walking or playing. It is important to reduce tangles to maintain the skin and coat condition and to prevent matting, which can cause distress if it restricts movement or causes itching. We would recommend a bath too as this will help release the loose undercoat, preventing a quick re-occurrence of matting. If necessary we will use Animology’s “Knot Sure” de-tangle spray (which you can also purchase), during and after brushing to keep the coat slick and reduce tangling. For our short haired friends such as Labradors, we can offer a bath and blow-dry only option, where no styling is required. This is not suitable for long coated breeds and extra large dogs such as mastiffs may incur an additional charge depending on their size. Your little one will receive a slow and gentle introduction to the world of pampering at Doggy Days. A warm bath and gentle towel dry, followed by the dryer if necessary. To keep puppy comfortable, we will attend to the hygiene areas such as eye, paws and bottom. This is enough for a small puppy to take in on their first visit. The next visit will include a mini-trim if required and by approximately 6 months of age your little one will be ready for their first “big boy or girl groom”. We take our time with little ones and stop if they are not comfortable. We will only progress at their pace, to ensure they are not fearful when they return to us. If your puppy is particularly nervous, we may recommend a “welcome” visit first to get them used to the noise and bustle of Doggy Days. They can then progress to an appointment in a few days if they are comfortable. Our Paw Care service involves nail trimming, which is recommended on a regular basis, particularly with older or less active dogs who do not wear down claws while out and about. It is important to maintain the coat between pads and toes too as this can become matted and very uncomfortable. Furry slippers can be be a hiding place for mud, grass seeds and thorns which can also be uncomfortable. When your dog has his or her nails clipped we will check for mats and make recommendations as necessary. If your dog is having a Luxury, Full Monty or In-betweener groom, paw care is included and hairy feet will be trimmed unless you express otherwise. Some dogs, especially those with long or folded ears can develop bacterial infections because of the humid conditions under the ear flap caused by lack of air circulation – you may notice an unpleasant odour. Other, hairier breeds can have hair growing in the ear canal which can cause the same problem by blocking the airflow to the inside of the ear. In both cases, ear disease can follow which can be very uncomfortable for your dog. We can gently cleanse the inside of the ear flap with a special cleaner. Those dog with excess hair in and around the ears can have this trimmed or gently plucked. Long or heavy eared dogs can have a short clip on the inside of the ear and a “de-bulking” of the hair on the outside to lighten the weight but maintain the appearance of longer hair – this will aid with air circulation and reduce the amount of water or mud they can carry on their ears. This service is included in the Luxury, Full Monty and In-betweener grooms. Our range of spa treatments can be purchased individually and added to any full groom or bath & brush service. There is also a range of take home items such as doggy cologne, collar accessories & brushes & combs for sale.